With today’s RV’s having so many options and features combined with the standard build of plumbing, electrical, and mechanical all in one vehicle. It is no surprise that breakdowns and repairs are not a matter of if, but when. That is where Wholesale Warranties comes in with multi-level customer-direct warranty packages. There is a level of protection for everyone and you may be surprised of how easy it is to get coverage for your RV even if it’s an oldie but goodie. Shannon from Wholesale Warranties talks with us today about the beginnings of the company, why customer direct is so important for the consumer, and just how easy it is to have work done all across the country and be covered for it. We hope you enjoy this episode and find it as informational and helpful as we did. We would like to thank Battle Born Batteries for sponsoring this episode. Battle Born Batteries are the best name in the RV and Marine Industry. These lithium batteries are designed and assembled in the USA backed by a 10 year warranty. The best solution for your battery anxiety, so go check them out. If you are interested in sponsorship for the podcast email us at sean@chickerystravels.com or movingforward@yahoo.com. We have several packages available. We hope you enjoy this episode and ask if you could leave a rating or review, this helps rank our show and allows it to reach a larger audience. Take care everyone and safe travels!! Be sure to check us out on Instagram to stay up to date on upcoming episodes and a chance to submit questions to be asked on air. https://www.instagram.com/beyondthewheelpodcast/ The post Ep. 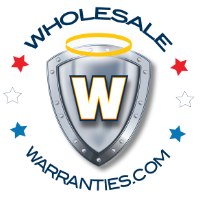 13 Wholesale Warranties appeared first on Beyond The Wheel. This week's RV Miles covers lots of tips and trips for folks that are new to the outdoor lifestyle — how to visit a National Park or other public lands for the first time. Then we talk with Staci Ritchie-Roman from Wholesale Warranties about the ins and outs of extended RV warranties. You're going to want to bookmark this one! We also have lots of news and the answer to last week's brain teaser! hey guys! Back from podcast hiatus. Today's episode is with Jeff Shelton, CEO of Wholesale Warranties. In this episode we talk about how to deal with negative reviews, avoid toxic customers and how Jeff built one of the largest RV warranty companies in the US. Connect with Jeff here.